The Petit Institute prides itself on the wonderful students that begin their research training here. We provide exciting opportunities for our students to not only interact with one another, but also the bio-community at large. 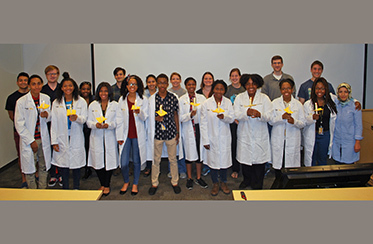 Two of the flagship opportunities are the Petit Undergraduate Research Program and the Project ENGAGES (Engaging New Generations at Georgia Tech through Engineering & Science) High School Research Program. 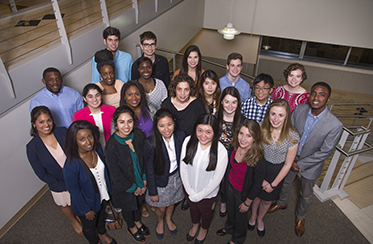 Graduate and post-doc students have the opportunity to serve as mentors for those that participate in these programs. 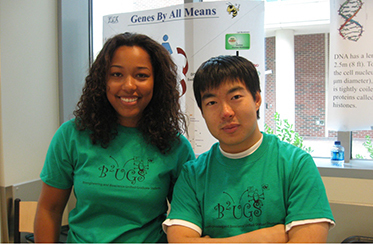 BBUGS (The Bioengineering and Bioscience Unified Graduate Students), is one of the largest graduate student groups at Georgia Tech. With BBUGS, students are able to volunteer in different areas such as education and outreach, industry, professional development, and other community service endeavors. 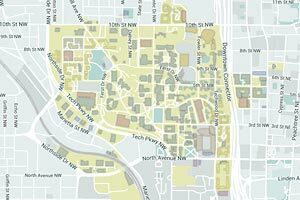 These opportunities provide tremendous value, not only to the student experience here at Georgia Tech, but also to the success of their future careers.